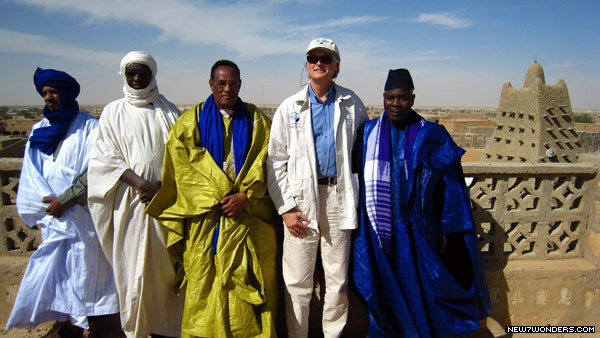 On his 2007 visit to Timbuktu, Bernard Weber, Founder-President of New7Wonders (second from right), was captivated by the historic heritage of the ancient city and the hospitality of the people of Mali. Following the destruction of the Bamiyan statues, an international project, initiated by Bernard Weber on behalf of the New7Wonders Foundation, undertook preliminary work on the reconstruction of the larger statue, which once stood 55 metres tall. These efforts resulted in a high resolution 3-D model that designed to serve as the starting point of a serious reconstruction project. 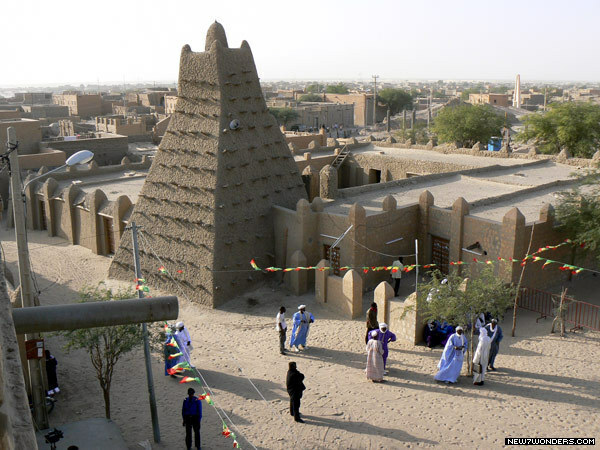 The Sankore Masjid is one of three ancient centers of learning located in Timbuktu. 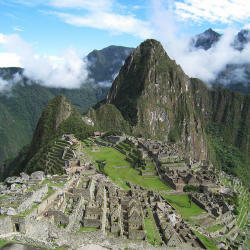 It was built during the reign of Mansa Kankou Musa in the 14th century. 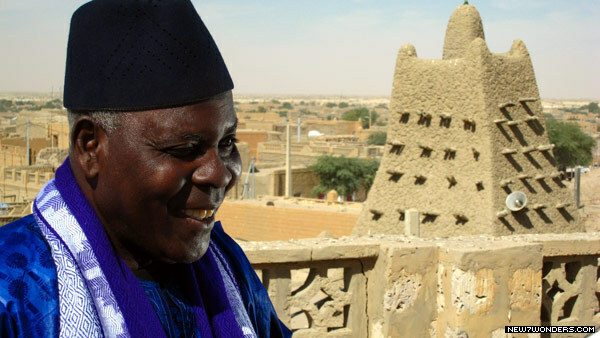 The New7Wonders community should make its voice heard in the call to save what remains of Timbuktu’s architecture and to rescue the libraries that date back to the 11th century.